NEW YORK -- Wal-Mart Stores Inc. is spending $1 billion to make changes to how it pays and trains hourly workers as the embattled retailer tries to reshape the image that its stores offer dead-end jobs. As part of its biggest investment in worker training and pay ever, Wal-Mart told The Associated Press that within the next six months it will give raises to about 500,000 workers, or nearly 40 percent of its 1.3 million employees. Wal-Mart follows other retailers that have boosted hourly pay recently, but because it's the nation's largest private employer, the impact of its move will be more closely watched. The changes, which Wal-Mart announced Thursday as it reported fourth quarter results, come at a time when there's growing concern for the plight of the nation's hourly workers. Thousands of hourly workers and their supporters have staged protests across the country in the past couple of years to call attention to their financial struggles. Business groups and politicians have jumped into the fray, debating a proposal by President Obama to raise the federal minimum wage from $7.25 to $10.10 an hour. And a new Associated Press-GfK poll found that most Americans support increasing the minimum wage. At the same time, the competition for retail workers is becoming increasingly stiff. As shoppers get more mobile savvy, retailers are seeking sales staff that's more skilled at customer service. But in the improving economy, the most desirable retail workers feel more confident in hopping from job to job. Wal-Mart, which has struggled for two years with sluggish sales, follows other big retailers that have announced plans to increase pay for its workers. Swedish home furnishings retailer Ikea this year gave thousands of workers at its U.S. division a 17 percent average raise to $10.76 an hour. And clothing chain Gap Inc. raised its minimum hourly wage of employees to $9 last year and $10 this year. Wal-Mart has faced growing pressure by organized labor groups to raise its starting hourly wages to $15 and provide works with more consistent hours. With its changes, the company's average full-time wage for worker will be $13 an hour, up from $12.85. For part-time workers, the hourly wage will be $10, up from $9.48. - Start raising entry level wages to at least $9 an hour in April and to at least $10 an hour by February of next year. That includes the less than 6,000 workers who make the federal minimum wage. Sam's Club locations will offer a starting hourly wage of at least $9.50 or higher in all markets, and at least $10.50 by next year. - Raise the floor and ceiling of its pay range for each position in most stores. For example, the pay range for cashiers is $7.65 to $16. The new range will be $9.00 to $17.55. -Raise the starting wage for some department managers to at least $13 an hour by this summer and at least $15 an hour by early next year. - Give newly hired workers a $9 per hour training wage and when they successfully complete the six-month training program, raise it to $10 an hour. Those workers can pursue one of three career paths: hourly supervisor, a specialty path like working in a bakery or deli or expand their skills in their current role. - Give hourly workers hands-on training in areas including teamwork, merchandising, retail fundamentals and communications. Store leaders like hourly supervisors will get refresher training on people leadership skills so that they can help workers grow and advance. - Roll out a program that offers some workers fixed schedules so they can be able to choose the same hours each week. The program is being tested in Wichita, Kansas. - Team up with its nonprofit, Walmart Foundation, to invest a total of $100 million spread over the next five years to support programs that help advance careers for entry level workers in the industry. 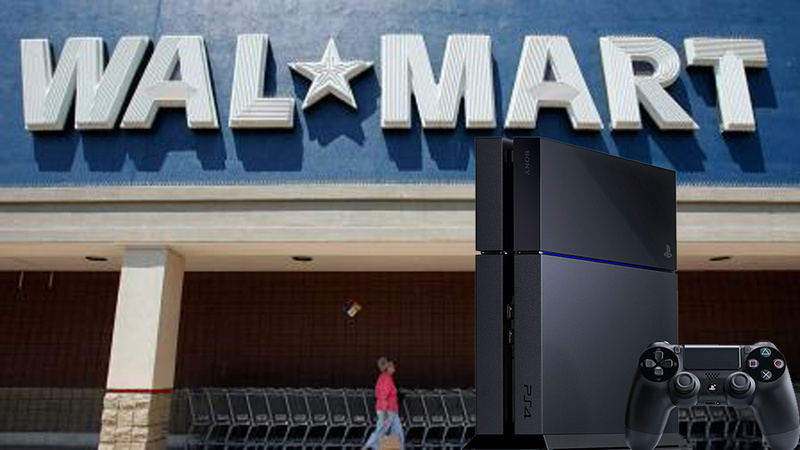 "We want to make it really clear that working at Wal-Mart is a great opportunity," he said. "Time will tell what the significance of the decisions will be.